Did you know that an EPCON MVR evaporator can reduce your industrial wastewater by 90-99% ? EPCON has long experience and know-how in energy efficient MVR evaporation of wastewaters and rinse waters from many different industries. The EPCON MVR evaporator separates the wastewater into a thick concentrate and a clean condensate by evaporating the water from the solids. 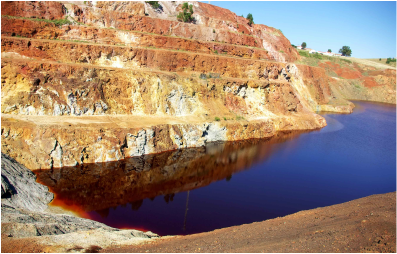 Mining leachate, both from active and abandoned mines can be a severe threat to lakes, creeks and rivers. The leachates contain heavy metals that damage the local eco system. EPCON MVR evaporators have proved to reduce leachate streams with more than 99%. Leachate from landfills contain a mixture of organic and inorganic compounds. These leachates often contain ammonia and are well suited for MVR evaporation. Fabrication of metal parts generates waste streams from cutting, drilling, part cleaning, pickling, penetrant testing and more. All these streams are water based and are well suited for treatment by MVR evaporation. In fish-farming, the fish nets need to be cleaned at regular intervals. This cleaning water contains Cu base impregnation from the nets. An EPCON MVR evaporator produces clean water from this stream. In dairies, breweries, food and ingredients industries, there are strict demands for cleaning. 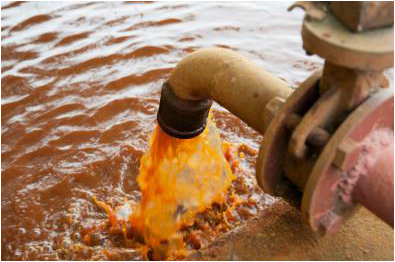 Often the rinsing/cleaning water is sent directly to a biological wastewater plant. By treating this water by MVR evaporation, the water can be re-used for cleaning, or discharged. The concentrate containing the solids can often be used for fermentation or biogas production. MVR evaporation is suitable for a wide range of wastewaters. Contact EPCON and we will discuss the possibility for treating your wastewater by MVR evaporation.